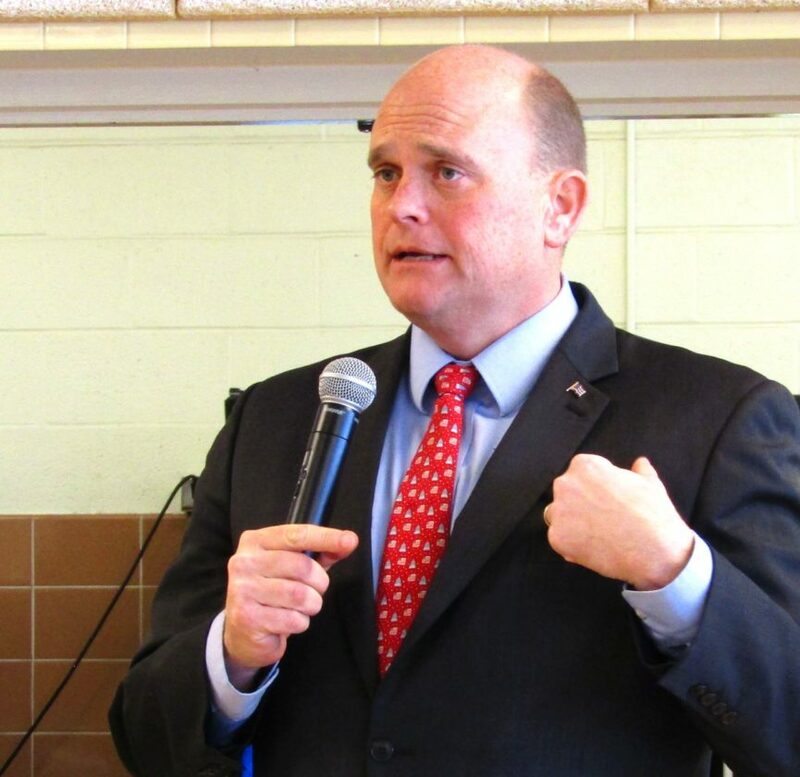 U.S. Rep. Tom Reed’s campaign seems focused on insults. Recently the Democratic Party held a primary to determine which candidate would represent the party in the upcoming fall election for the House of Representatives from our district, a position currently held by U.S. Rep. Tom Reed. After a few candidates dropped out early in the race, five were left for members of the Democratic Party in our district to choose from. During the primary, season the candidates each gave a vigorous fight to win the party primary. During several of the debates, each also made a commitment to run a fair and objective campaign without dirty fighting, insults or bashing. Something I think most of us of all parties want from those running for elected office. However, for some reason “dirty-trick Nick” (Nick Weinstein, Rep. Reed’s campaign manager) decided to play with the primary even though Rep. Reed was not in this primary, nor could any voter not registered as a Democrat vote in the primary. He had psychedelic tie-dye type signs made up with the words “Extreme Ithaca Liberal” written across the front. He and his staff then went around placing these signs wherever they saw a sign for one of the Democratic candidates. He even made his way (or his staff I doubt Nick comes here often) placing several around our County. I still am unsure what the point was in scattering these signs around, was it to call all Democrats only extreme Ithaca liberals, forgetting there are many of us throughout his district? More to the point, why should Rep Reed care about a Democratic primary? Then on July 2, six days after the primary, the Rev. Gary McCaslin of Painted Post (who with fair disclosure is also a strong progressive activist) was driving down a road with his wife when he saw a stack of leftover political signs along the road. As a good citizen (yes ask my grandchildren I do similar all the time,) he pulled over and picked them up. The signs included two of the candidates, one just calling for all to vote, and one of the extreme signs. A few days later he got a knock on his door from Nick, asking for the sign back. In the meantime, McCaslin had felt something in one of the signs and after further inspection found a gps tracker! McCaslin then gave the sign back but refused to return the tracker, not knowing if such devices were even legal. Later that night, he did try to return the tracker to the Reed campaign office, which was locked and closed. He then went to a Reed representative office to try to return it, but staff there refused to accept it as it is from the campaign (they are two different and separate under law). The police were called, McCaslin arrested and charged with petit larceny, of which he is of course fighting. I want to laugh at first until I think of just how bad things have gotten in our campaigns that we now try to sabotage even those we are not running in. I think of how sad it is for my representative (yes I am an extreme Fredonia Liberal) to forget he represents me just as much as my very conservative friends and family. I think it is sad that his campaign has so much money (mainly from outside our district as described in recent OBSERVER article) that he can use it to make up these signs and even place tracker devices in some. I want to tell him how little he knows his district when he fails to understand signs taken (along with many other things) is a regular thing in college towns most of us just shine it on. Really who would want the Fredonia police waste time tracking down who took my Grow Food Not Lawns from my front yard? I truly hope Reed pulls the reins in on Nick. I think most of us are looking forward to a good campaign with clear choices between Tracy Mitrano and Rep Reed. We want to see how they compare and contrast on issues. Enough of the dirty tricks… please? Bring us what you each will do to improve our district and the lives of those of us who are lucky enough to call it home. Judi Lutz Woods is a Fredonia resident.